Here’s what’s up in the world of television for Wednesday, February 28. All times are Eastern. The Looming Tower (Hulu): Hulu’s newest book adaptation is of the nonfiction variety. Based on the Pulitzer-winning book of the same name, The Looming Tower follows the rise of Osama Bin Laden and al-Qaeda in the ’90s, as the FBI and CIA squabble over stupid turf wars in ways that may have unfortunately helped aid in the execution of the 9/11 attacks. 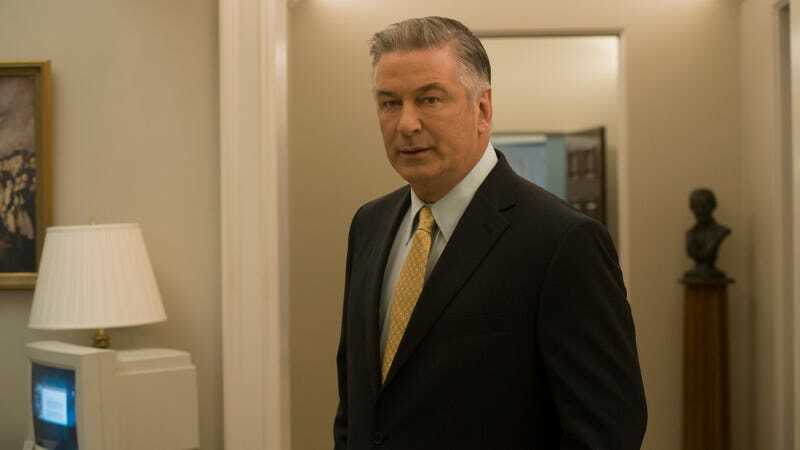 It’s got a hell of a cast—including Alec Baldwin, Jeff Daniels, Peter Sarsgaard, Wrenn Schmidt, and more—and hot-button material, so look for this one to make some waves. We’ll have reviews of the first several episodes going up today from our own Allison Shoemaker. The X-Files (Fox, 8 p.m.): The creative resurgence this season on The X-Files has been a real salve for those left with a sour taste in their mouths after the awful mythos-heavy episodes that bookended last year’s return. Now that the Olympics are over and TV has returned to its regular programming, we can continue the search for the truth. We’ve heard it’s out there, and Zack Handlen will be there to report on whether it appears in tonight’s episode, which sees Mulder and Scully confronting the existence of a potentially malevolent A.I. Hollywood Medium (E!, 9 p.m.): How the hell is this a show? More importantly, how the hell is it on its third season? Why the hell is The Big Bang Theory’s Jim Parsons appearing on it? Does he believe in psychics? Perhaps he lost a bet? Who the hell convinced these celebrities to do this? Seriously, just look at this list of people who appeared on the previous season, presumably to sit in front of a crystal ball or whatever: Allison Janney. Tiffany Haddish. Peter Facinelli. And that’s just a drop in the bucket. Look, I’m all for tarot cards and numerology and whatnot, that stuff is entertaining, and there’s nothing wrong with having your palms read and someone feeding you some lines about your future as long as it’s all in good fun. But this is a nationally televised show where a man pretends to channel famous people’s dead relatives. Maybe I should see him about channeling my sense of disbelief, because it is now dead.